So there seems to be an increase in photowalks nowadays. Photographers are increasingly rising up to create more awareness and need for social change. 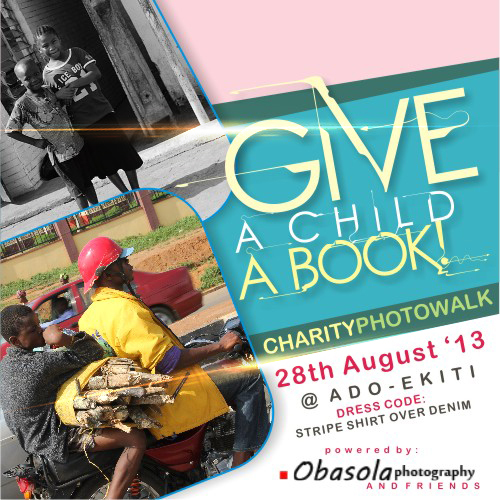 The first one comes up at Ado-Ekiti on August 28 while another holds in Abuja on August 29, 2013. If you’re a photographer in these cities, don’t miss the opportunity to network with other photographers and be a change agent. Find below more info on both photowalks. 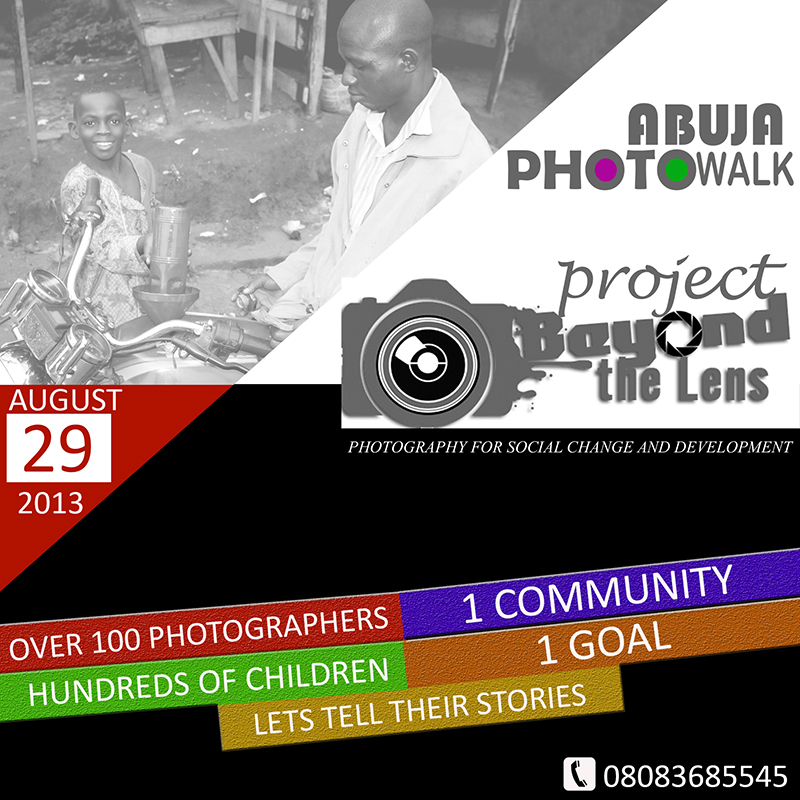 We want to use our love for photography as a tool for social change, we will be visiting ‘Karshi’ community, on 29th of August 2013. Our job is to shoot those happy moments and rewrite the story “people in slum aren’t happy” so we will be capturing those happy moments and we will, also be giving out school materials. And we are hoping to partner with an NGO. Venue: KARSHI community school, FCT Abuja. CHARITY PHOTOWALK of the Slum. This is great news and can’t wait to see thenday come through. I discussed this last week with a photographer in Abuja qbut did not know that something like this was already in the making. Am out of town but will reschedule to come back before then. Abuja Photo walk will bring together, people with a passion for photography and an active commitment to bettering their art. Thank you Guys for making this possible. Our OnNigeria team plans to be part of it. Let’s do this Abuja. Wow!this is really awesome!am loving this…I celebrate you Bro Obasola and God will continue to help you to do more of this IJN…Bless you Bro. Please note that we will be meeting @ Karu roundabout (Mazfallah Shopping Complex / Ecobank) by 8:00am and take off time is 8:30am. Please follow @beyond_lens for updates. It is a laudable and celebrated idea! You guys are the 360′ leaders we crave for in our society. The best chain of life!